How do I reserve VIP Country Club for my special event? 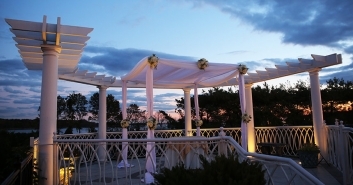 You can set up an appointment online or call (914) 235-1500 to meet with us and tour our venue. After you choose a date for your event, simply sign a contract and the date is yours! Yes, we offer payment plans that can be tailored to fit your needs if necessary. Will the site be shared with another wedding group? While another event may be going on, our venue design gives each event its own private and dedicated restrooms, coat checks and outdoor patios so that nothing is shared and privacy is guaranteed. VIP Country Club also staggers events by a minimum of an hour and a half so that no guests are arriving or leaving at the same time. Yes, outside catering is possible, as long as they have valid certificates of insurance. Do you have a backup plan for rain or inclement weather? Yes, we always have backup plans for inclement weather as well as any other incidents that may arise during your event. May we rehearse at VIP Country Club? Yes, rehearsals can take place on site. May I drop items off/decorate the day before my wedding? We can assist in basic decorating but any elaborate on-site decorating must be done by a vendor with a valid certificate of insurance. 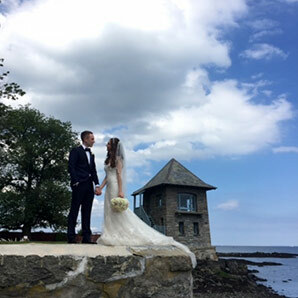 We always arrange drop offs a few days prior to your event so that we can review everything beforehand and you can savor your special day. What accommodations do you offer for corporate events? All corporate events have access to our in-house AV equipment, Wi-Fi, copier services, a private committee room and our full attention to all details. How do I become a member of 600? As a token of our appreciation, we offer a 6-month membership to 600 when you book a wedding at VIP Country Club. If you’re interested in becoming a member of 600, we invite you to take a tour of our venue and learn about our membership packages. 600 will be hosting many social events throughout the year as well as a signature 600 menu, daily. Corporate members will be able to entertain clients for lunch of after-work cocktails, throw corporate parties or host a meeting of 20 guests. We offer many small or large group packages that can be tailored to suit any business. Please call (914) 235-1500 for more information and to schedule a tour of 600.